We are one of the topmost manufacturers and Wholesaler of an exclusive range of Zari fancy lace, Pom Pom Lace, Cotton Crochet Lace, Crochet Lace, Cotton Lace. Suitable for decorating garments & furnishings. 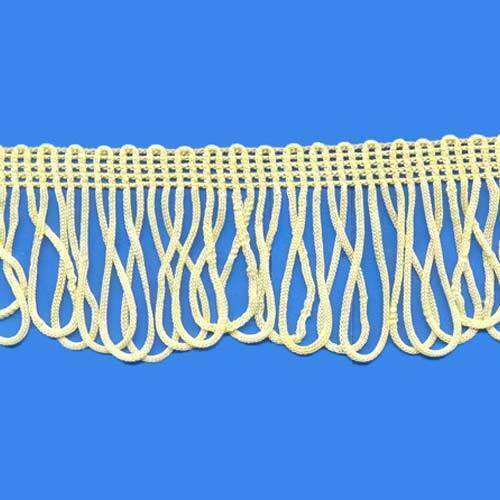 We are offering our clients with the best-in-class range of Zari fancy lace, Pom Pom Lace, Cotton Crochet Lace, Crochet Lace, Cotton Lace, Jhalar Curtain Lace. Product-gamut which we offer is manufactured by making use of supreme quality required basic material, procured from the accredited vendors of the industry. Moreover, we design our entire gamut while keeping in mind prevailing fashion trends of the markets so as to meet expectations of the clients. We have made the offered gamut available in different sizes, colors, and graceful designs to cater to the multifarious demands of the clients.